Fifty families in Mayo and Roscommon are to receive apologies from the HSE after a review of 900 child audiology cases handled by one individual showed what are described as "serious failings." 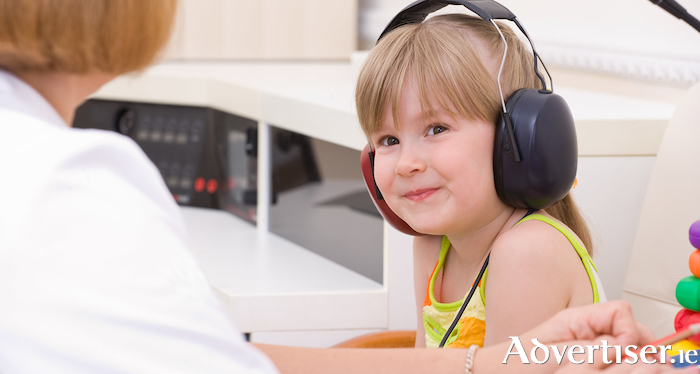 The apology comes after a look-back review of paediatric audiology services provided in more than 900 cases by one audiologist, based in Mayo and Roscommon from 2011 to 2015. The revelation, uncovered by the RTE Investigates Unit shows concerns around "some aspects of the quality of the service provided", leaving some children with lifelong impairments. RTÉ Investigates understands the individual in question worked in the Mayo/Roscommon area for over a ten-year period from the early 2000s providing services to young children. The look-back review began when several professionals in the area expressed concerns about the quality of the audiologist's work. From the 900 cases examined, at least 49 children have been found to be affected. The HSE is to write to these families in the coming days to provide them with details of the report. The letters will also acknowledge that the failings identified either "increased the risk of a missed diagnosis" or "a poor outcome" for the affected children. The letters will include an apology from the HSE for its failure to provide appropriate hearing assessments and for the distress this has caused the children involved and their families. The clinical team who undertook the review found that in the cases examined hearing assessments conducted did not meet national audiology standards. Failure to determine the model of paediatric audiology service provided. Hearing aid management (fitting/verification/validation ) was not performed as per relevant guidelines at fitting or review appointments. There was inadequate clinical governance in place to audit and monitor service provision. However, the HSE said all affected children who required a recall have been offered follow-up appointments and in the majority of cases those clinical follow-ups have been accepted. The HSE added any children identified as needing further interventions have now been prioritised and treated in a timely manner. The report also includes various recommendations around learning and necessary changes to practices and procedures that are to be implemented at both a local and national level. In a statement to RTÉ Investigates, the HSE confirmed all affected families were informed the audit was taking place and the HSE is finalising plans to share full details with them in the coming days. The HSE also said it was its priority now to allow the families an opportunity to have any questions they might have answered. RTÉ Investigates has also discovered the audiologist at the centre of the report may also have worked in other parts of the country outside the Mayo and Roscommon areas. When asked - in light of the serious findings in the report - if the HSE would now extend its review to the services provided by the individual in other areas, a spokesperson told RTÉ it did not have sufficient time to respond in "any meaningful way". It is believed the audiologist has been suspended from practising here and no longer provides services in the Republic of Ireland. It is understood that some parents are now considering pursuing legal actions against the HSE. Minister for Health Simon Harris said it is really important that the HSE does look-back reviews and tries to do better. He said when such reviews are carried out, errors are found and it is right and proper the health service apologies when that occurs. He said more important is that the health service takes swift action to support the people impacted and that has been done in this case. Page generated in 0.2074 seconds.